Create your personalized brand hub to maintain consistent communications across and outside your organization with a 30-day Free Proof Of Concept. DID YOU KNOW? FotoWare can Grow Unlimited! Additional storage is billed per 1TB at 85€ per month. Network traffic is included in our prices, based on our fair-use policy which includes as much egress network traffic as storage provisioned per month. If you exceed the quota over consecutive months, we will contact you with options to extend your storage plan. Ingress network traffic is free, so just send us those files right away! Make your assets available everywhere at any time, under your control. Focus on the processes that matter to you and empower your team to find, organize and manipulate content easily. Keep track and manage how, where and who is using your brand material, maintaining control over the entire process with a single tool. Improve and speed up the way you cooperate with your team and external parties when working with your branded content. All your important files are stored safely on the Microsoft Cloud. 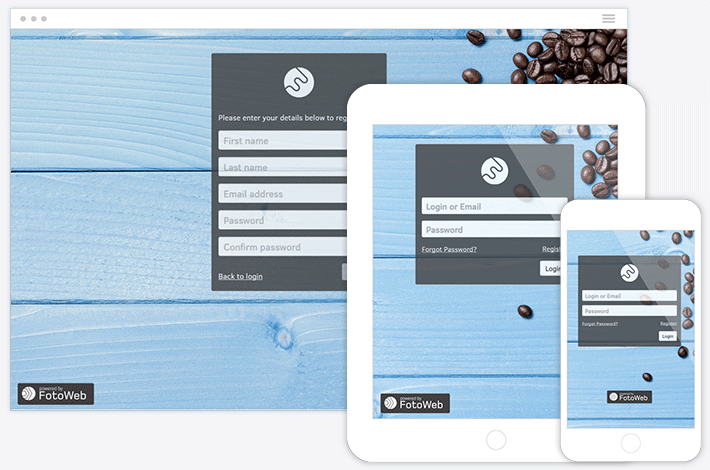 FotoWare is your custom brand portal for all your images, graphics, photos, videos and documents. 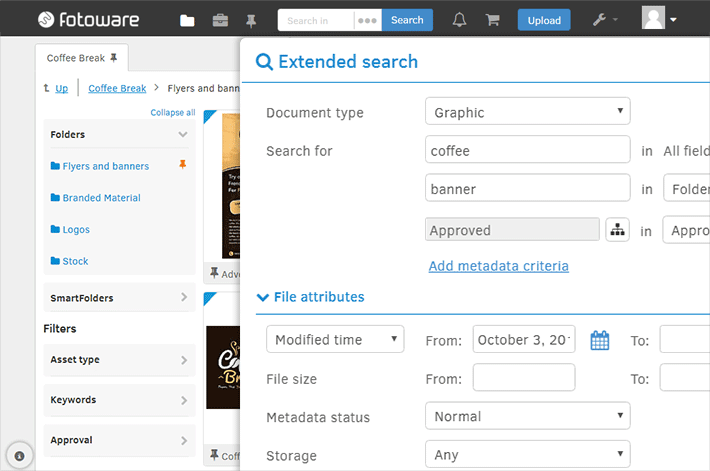 Store your files in a central repository and organize, distribute and approve content on demand. It's so much more than just file storage! Clever plugins for PowerPoint, Word and Adobe InDesign! Everyone in your organization shouldn’t have to leave their favorite tools to access photos, images or video. 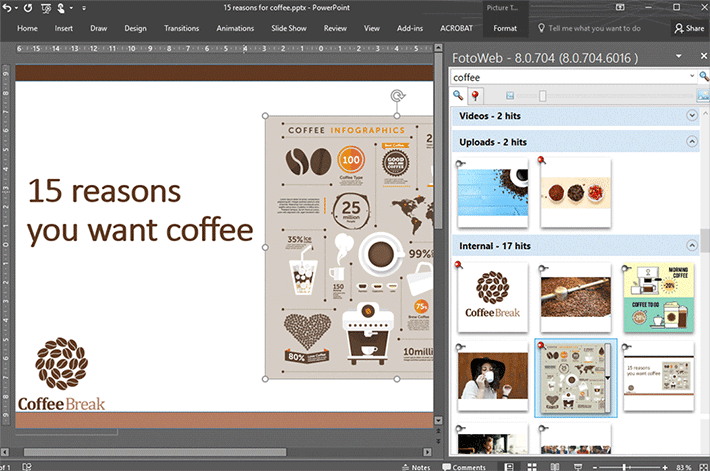 FotoWare comes with plugins for PowerPoint, Word and Adobe InDesign so users will feel right at home working with it. 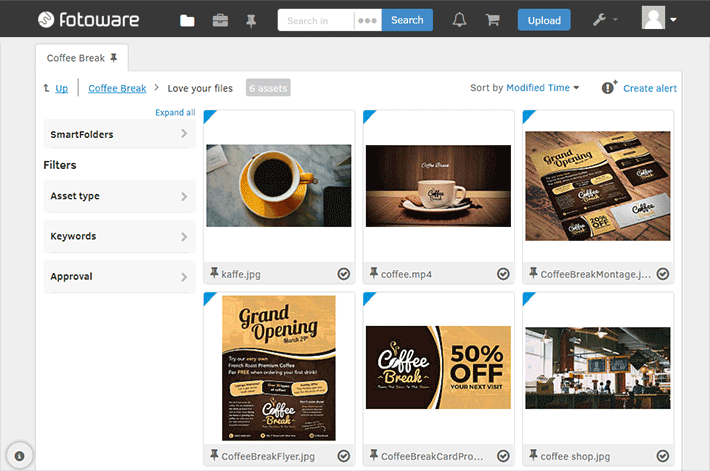 Search large collections in seconds with FotoWare's intuitive search, or use filters and SmartFolders to instantly find your creatives. Increase your content's lifecycle and correctly and safely reuse and repurpose your graphics as you retain complete publishing records for all your assets. Gain control over the sharing and distribution of your brand material. Collaborate on individual files or groups of assets. 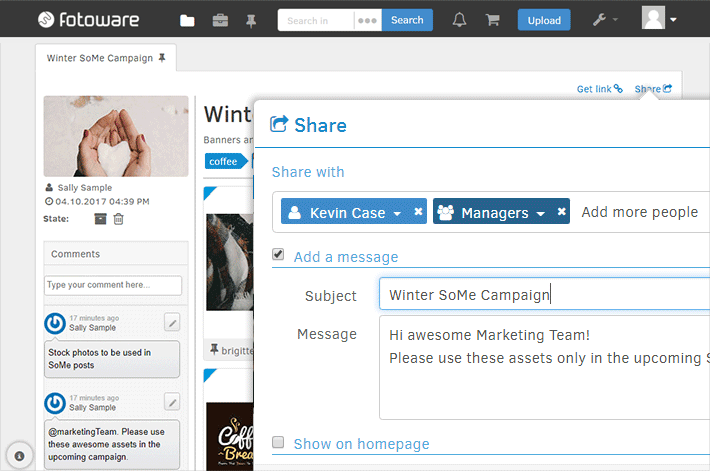 Share files within your organization and with third parties. Get your work delivered securely, correctly and at the right location - on time. 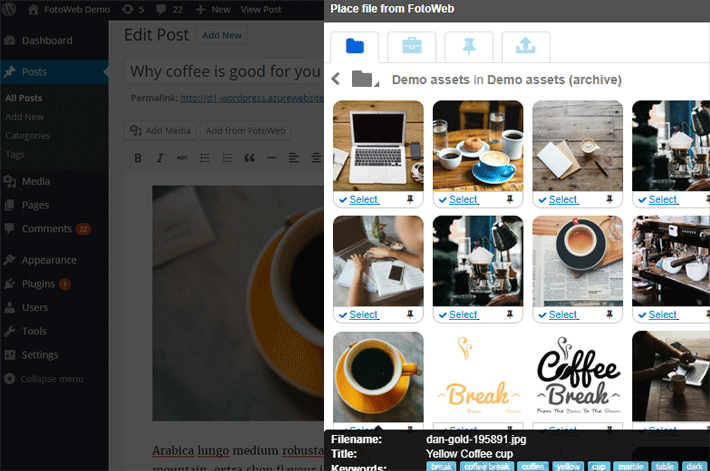 Push content directly to your favorite CMS and/or the Social Media Channel of your choice. Your brand can look consistent across each marketing channel. Need more flexibility, more add ons or simply want to expolore your options? One of our experts is ready to help you.